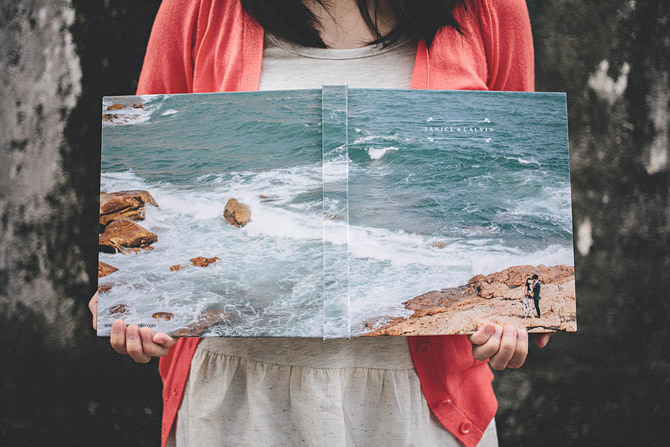 This is another beautiful photo book I designed recently. 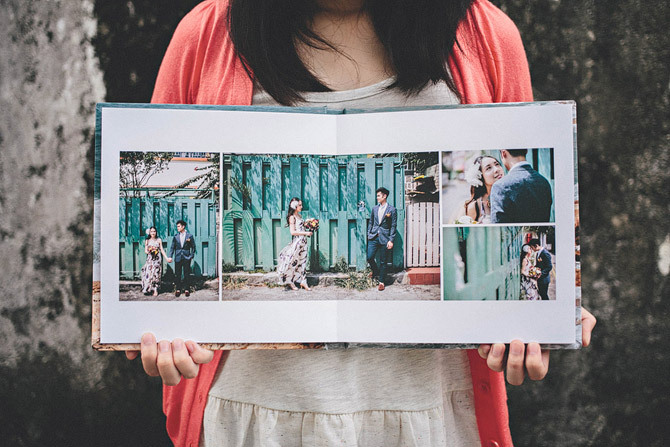 Thanks Janice & Calvin for putting trust in me. 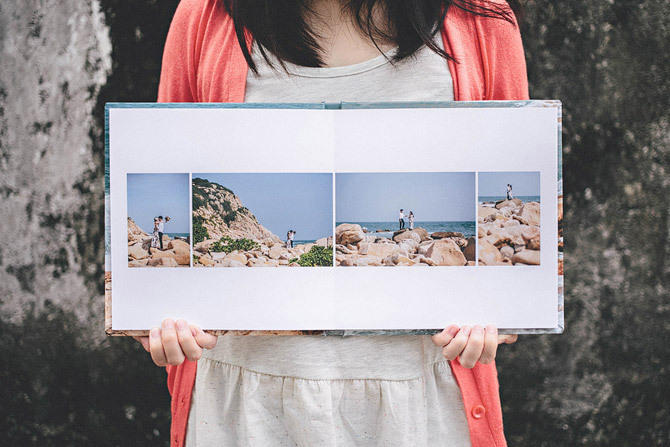 I had made only one design version of the book and then they confirmed it right away. 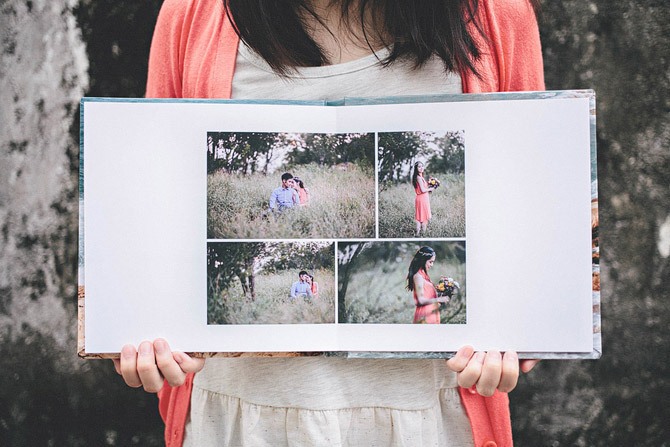 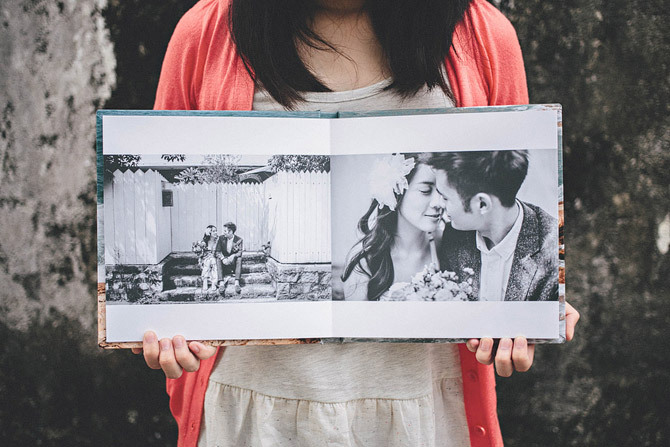 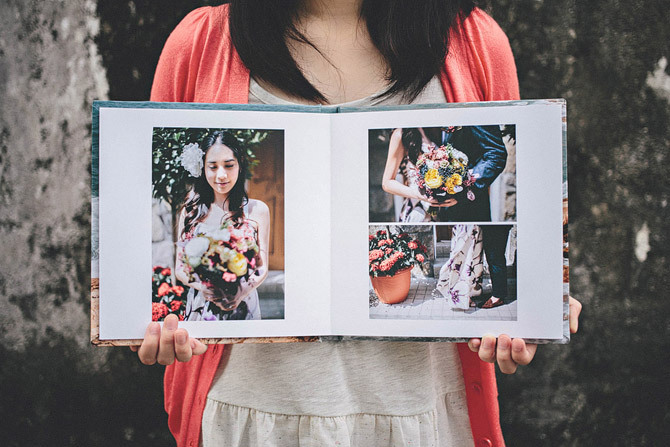 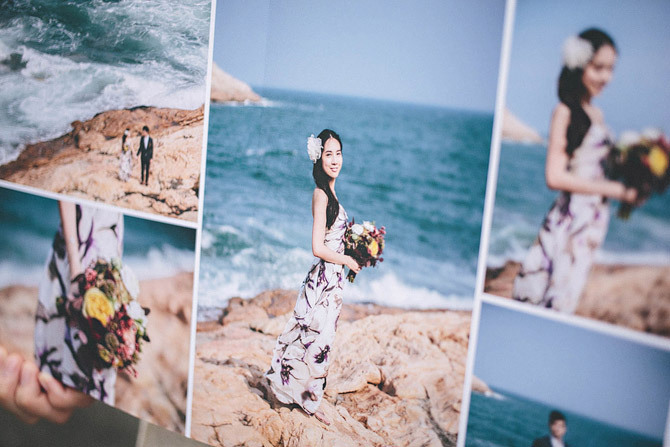 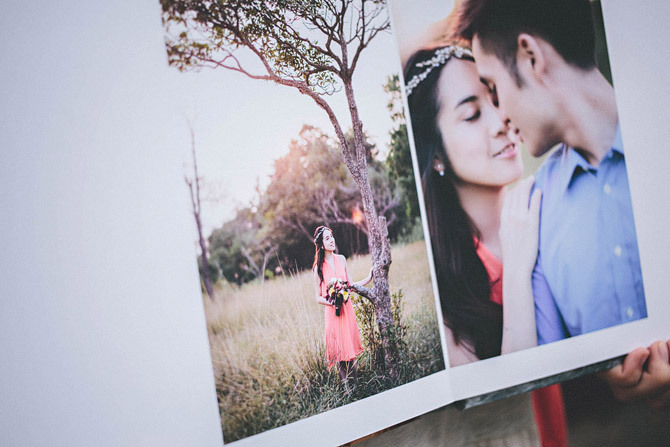 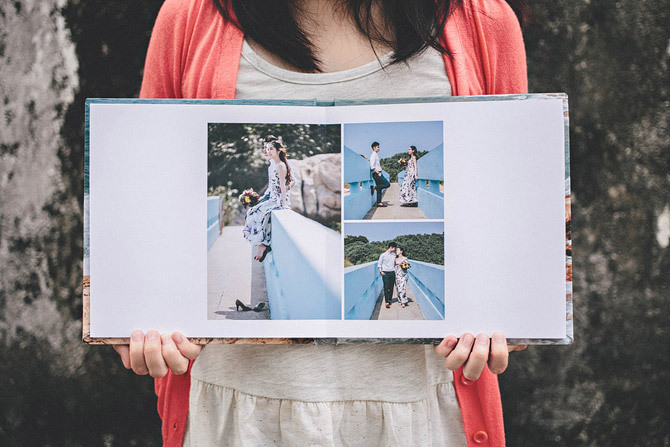 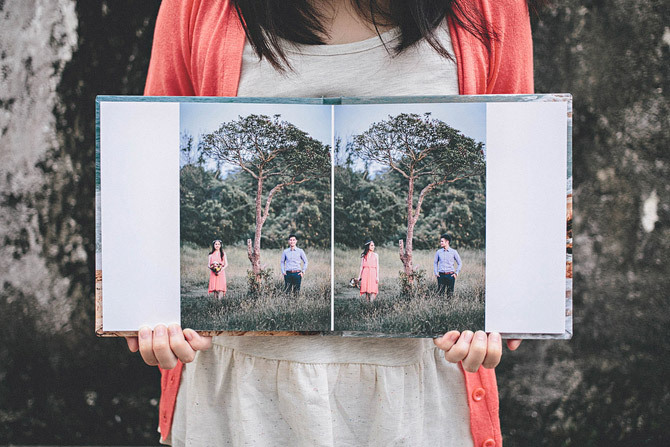 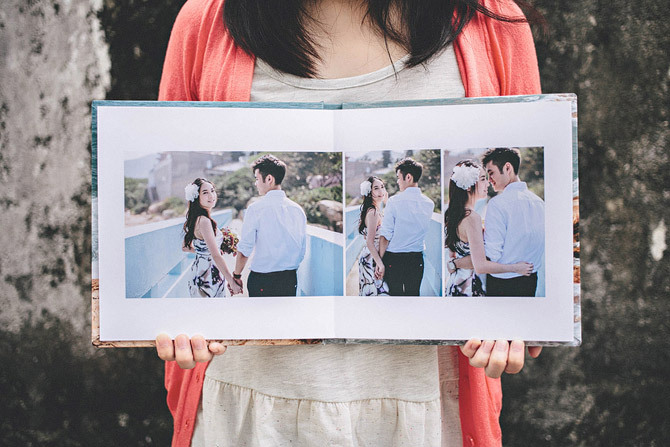 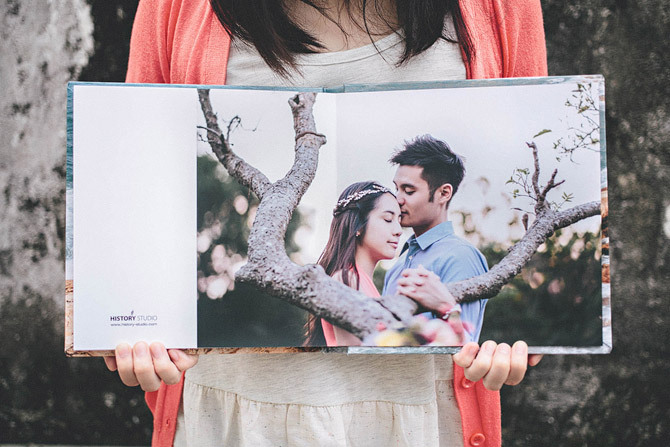 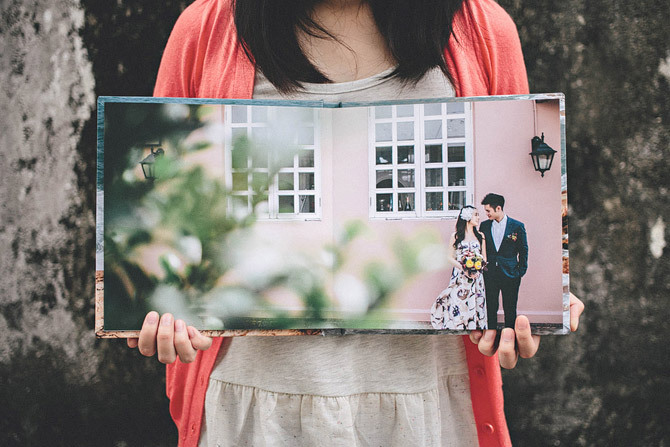 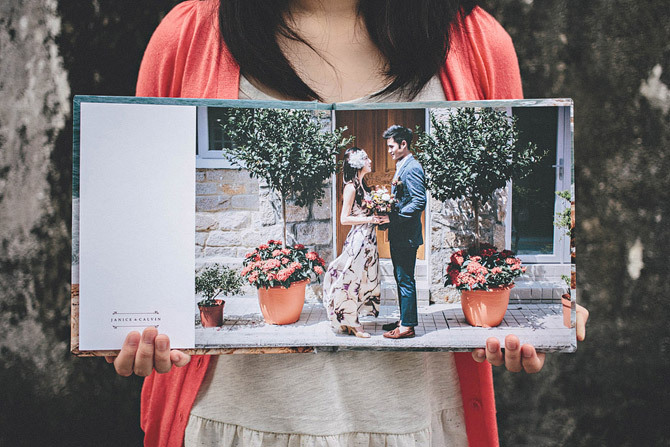 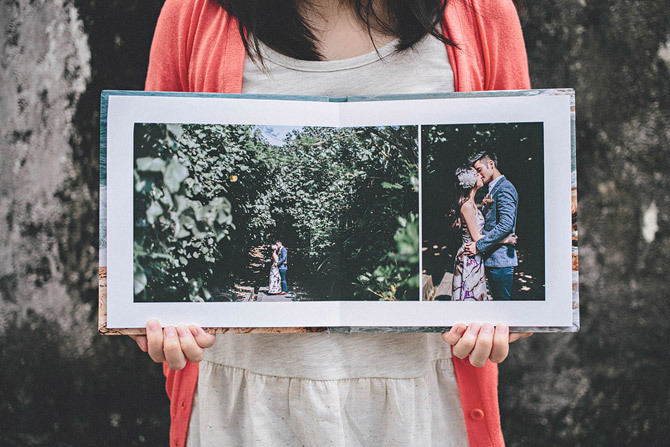 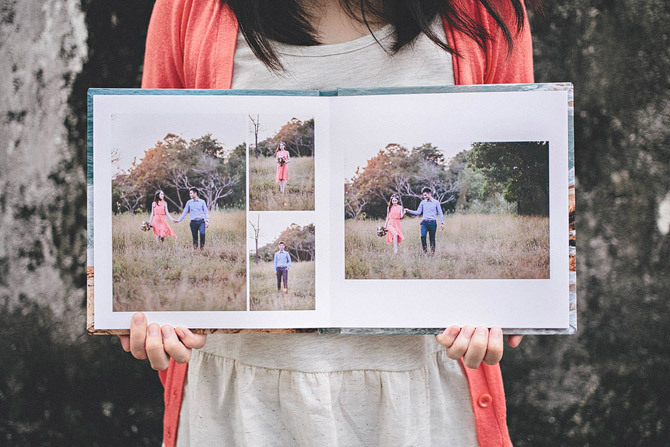 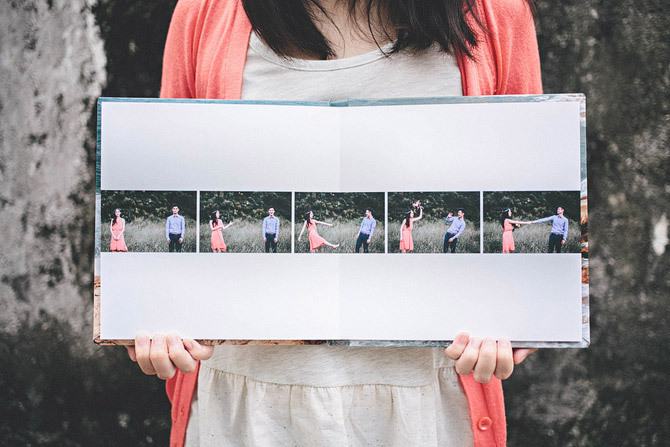 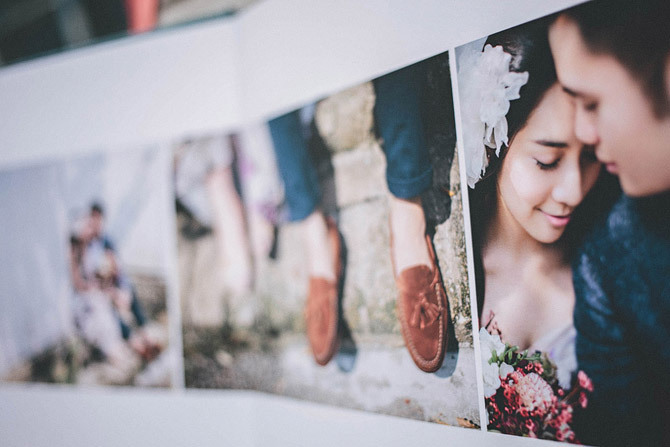 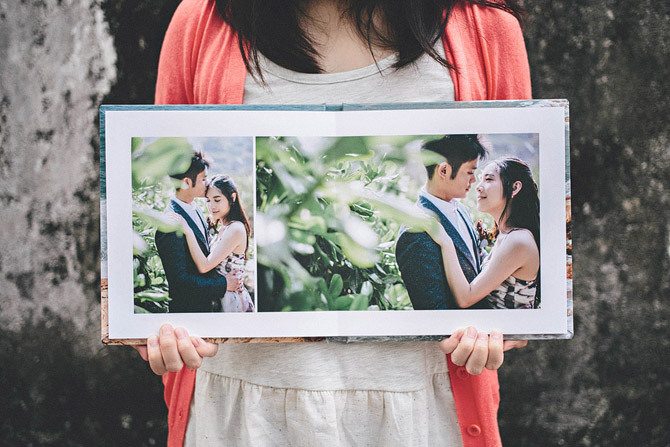 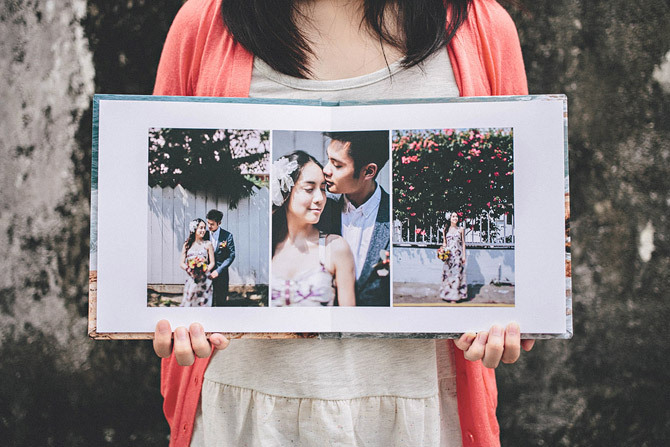 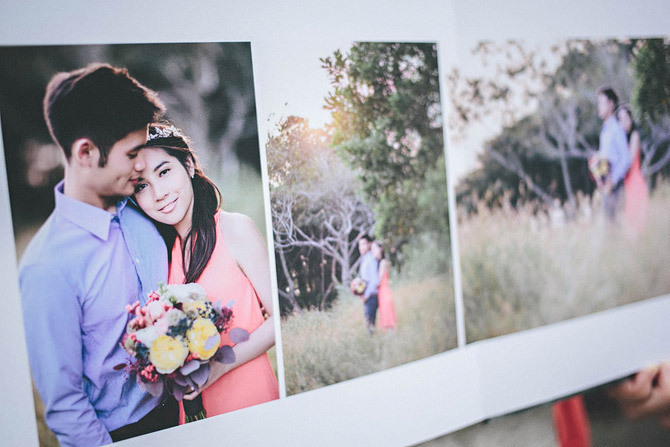 This book was printed in USA, Hand-bound and encased in fine materials, my albums open out flat with an almost invisible crease, so you can showcase your very best engagement photo two pages. 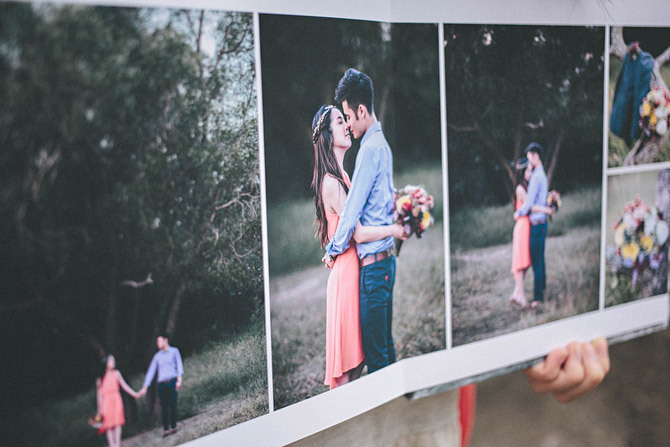 Each spread is about 0.5 mm thick matte fine art paper glued back-to-back. 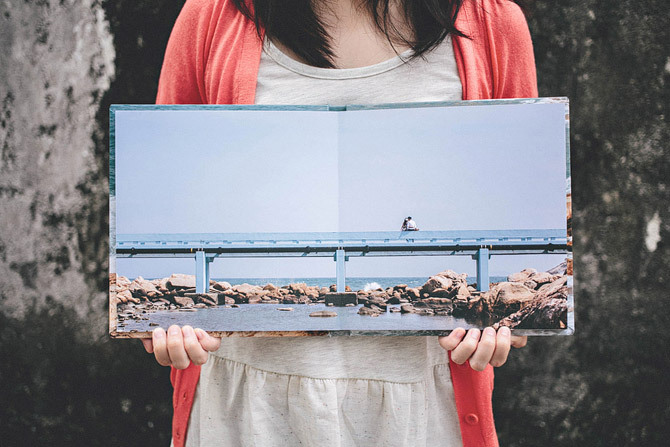 I love the quality a lot. 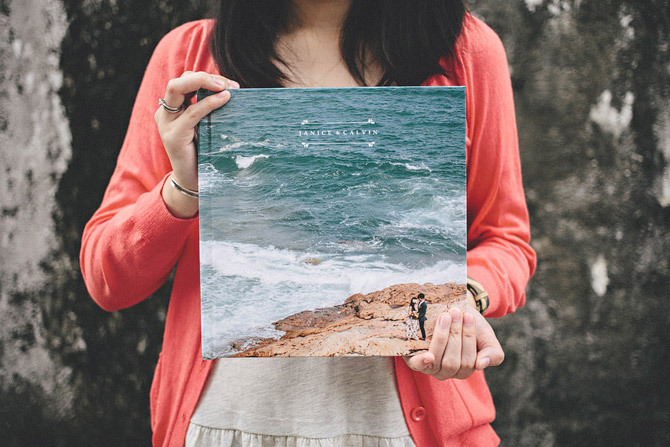 This book is the best FINE ART BOOK you’ll find.